The IQ Power and IQ Power HL Static Neutralizing System is an unparalleled lineup engineered with the technology that brings complete monitoring intelligence with a user friendly interface. Designed for use in rugged industrial applications and leveraging many patented features, the IQ Power provides exceptional ionization performance. Security enabled, configurable parameters allow the user to understand and control their static neutralization challenges through a user-friendly interface and microprocessor controlled touchscreen. This fully integrated system makes installation a snap. No complicated software to install or maintain. There's no need for figure out firewalls and installation issues, or which browser to use. The IQ Power and IQ Power HL System incorporates several relay output choices to suit desired alarm methods for streamlined operation and maximum productivity. Global relays as well as individual IQ Power BPS relays are accessible for both warning and fault user selectable alarm thresholds. Three balance control modes allow the user to optimize the system to suit their application. Patent pending Auto-Tune mode optimizes the system through live reading of current web conditions. 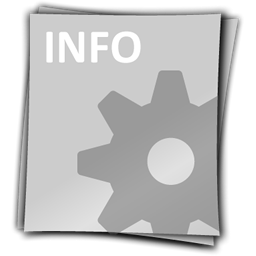 Fixed mode offers optimization through average web conditions, while Manual mode allows users to adjust output settings. The rugged IQ Power static bars are offered in over 85 different lengths of industrial-designed static bars that are available in four varieties to suit the application based on web speeds or operating distance. Speed bars are engineered to neutralize static charges on webs traveling up to 3,000 feet per minute and are mounted approximately 4" from the material to be neutralized. Operating at 7kV. Speed -T bars are the latest addition to our static bar lineup and feature tungsten emitters for long life. Operating at 7kV. Hybrid bars are designed for installations where the distance between static bar and material to be neutralized changes during the process and up to 18" away. Operating at 9kV. Distance bars are specially engineered to provide powerful ionization for distances up to 30" from the web in applications where installing a static bar close to the web is not an option. Operating at 12kV. All IQ Power static bars include rugged mounting hardware. 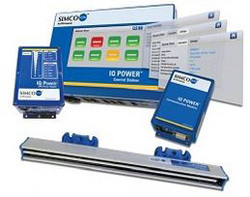 The IQ Power bars include a unique connection design which enables the power supply to recognize the application requirement and automatically set the output power necessary for the installation. The full IQ Power System is also available and approved for hazardous location installations, Class 1, Div 1.